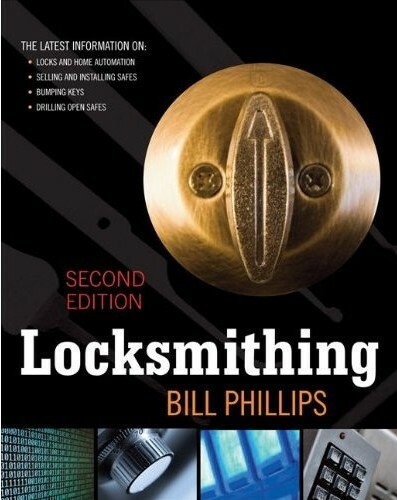 Filled with easy-to-follow instructions, illustrations, charts, and checklists, this updated locksmithing resource covers locking mechanisms used in today's residential, automotive, commercial, and electronic security devices. Whether you want to install a home security system or start a successful locksmithing business, you'll find what you need in this book. Details about licensing and certifications and a sample Registered Professional Locksmith exam are included. Bill Phillips is president of the International Association of Home Safety and Security Professionals. He is also the most successful author of security books ever. 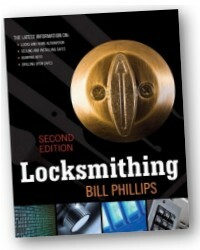 His best-selling The Complete Book of Locks and Locksmithing (the world’s best-selling locksmithing book) is currently in its sixth edition. 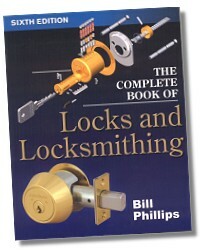 Mr. Phillips also wrote McGraw-Hill's Locksmithing, part of the Craftmaster series, The Complete Book of Electronic Security, and The Complete Book of Home, Site, and Office Security, also from McGraw-Hill. He is the author of the "Lock" article in the 1998 to 2006 editions of the World Book Encyclopedia, and has written hundreds of security-related articles for professional and general-circulation periodicals, including Keynotes, Home Mechanix (security editor), Locksmith Ledger International (contributing editor), Los Angeles Times, Consumers Digest, The National Locksmith (contributing writer), Safe and Vault Technology, Security Dealer, and many others.